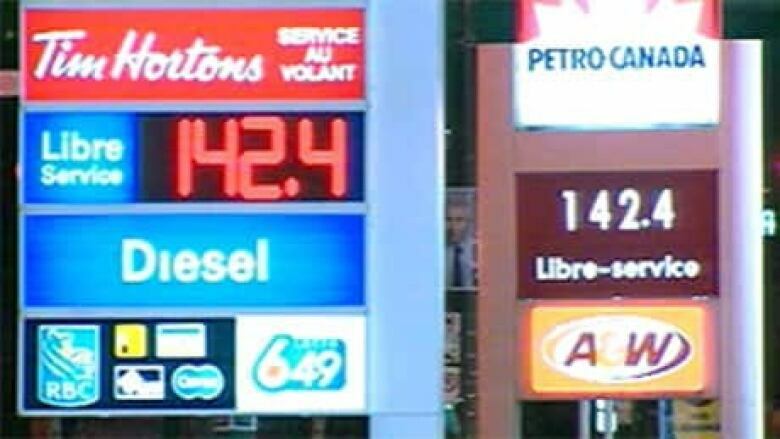 Some Montreal drivers were questioning how often they fuel up as the cost of gas in the city rose to $1.42 on Tuesday, the highest level in almost three years. The price at most pumps in the city was 10 cents higher than it was on Monday. 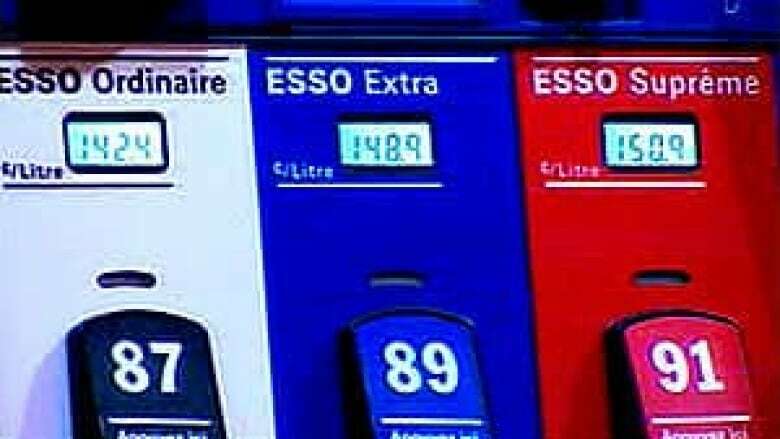 Analysts said the last time gas prices city were this high in Montreal was in 2008 when drivers held their noses and paid $1.47 for a litre of regular unleaded. Driver Geneviève Lajoie said the latest spike convinced her to ask her boss if she can work from home. "My employer is open to that since I live very far on the south shore. I have to drive 70 kilometers to go to work each morning," she said while filling up at a gas station on Decarie Boulevard. Mario Cipollone, who runs a landscaping company, said he would try to offload the extra expense to his customers. But he was not hopeful. "If it works, it works. If it doesn't, what can I do? We have a contract that we have to abide by," said Cipollone, who was filling up his truck in addition to a 20-litre container for his lawnmowers and other equipment. Regular unleaded gas was selling at $1.42 per litre in Montreal on Tuesday, 10 cents more than Monday. Supreme was selling at this Esso station for almost $1.51. (CBC) CIBC Economics report released Monday concluded that drivers across the country could end up paying $12 billion in higher fuel charges in 2011 if soaring gas prices stay in place for the rest of the year. That works out to $950 for each Canadian household. World oil prices have already risen by more than 20 per cent since April 2010. Canadian gasoline prices have more than followed suit, up 32 per cent since last September, the economics arm of CIBC estimated. In addition, some forecasters now believe world prices will average $100 a barrel in 2011, higher than the mean in recent years. For some people who rely on their vehicles to make a living, the added cost has proven to be too much. Montreal taxi driver Fode Medicire decided to park his cab Tuesday. "It's too expensive, you know?" he said.